While it was clear that ex-enforcer Wade Belak’s NHL career was over, it seemed like he had a lot to look forward to heading into the 2011-12 season. Belak was set to become a sideline reporter during Nashville Predators games and made CBC’s list of participants for its popular reality show Battle of the Blades. Sadly, the hockey world won’t see the well-liked former fighter in either role after his sad death in late August. The third season of that show began Sunday with a tribute to the fallen fighter, whose spot was eventually filled by Russ Courtnall. The tribute included commentary from his former teammates and opponents along with footage from some early prep work in which Belak prepared for the competition, which pairs former hockey players with figure skaters with the winning duo earning $100K for a charity of their choice. Courtnall will represent Belak’s chosen charity: the Tourette’s Syndrome Neurodevelopmental Clinic at the Toronto Western Hospital. 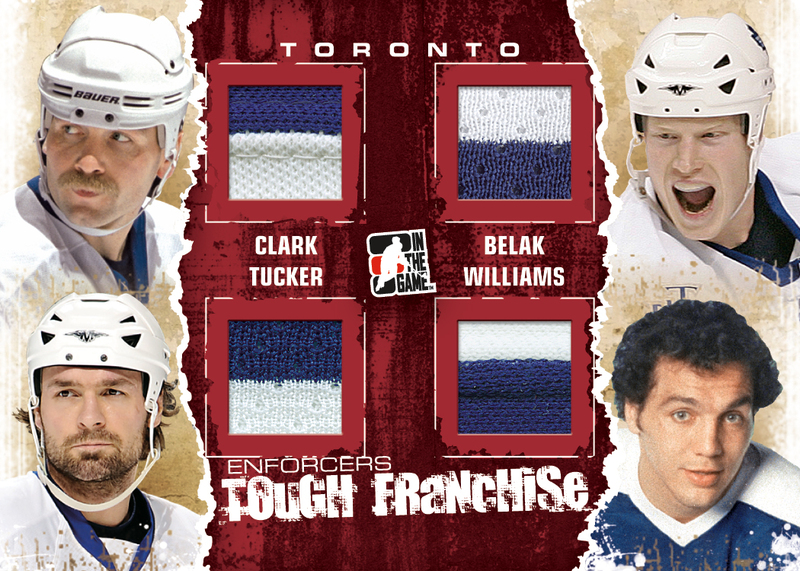 The Canadian Press describes some of the footage that provided an ode to Belak. The show began with a message dedicating the show to the memory of Belak, as well as to his wife Jennifer and daughters Alex and Andie. “This one’s for you Wade,” said host Ron MacLean as the camera moved out to show his No. 3 painted on the ice. The episode, called ‘Game On,’ documents some of Belak’s last moments as he and the other contestants prepare for the show. His sense of humour is on display as he tries to adjust to figure skates, laughs at May’s frequent tumbles and jokes about competitor Cale Hulse’s hairstyle. After a summer filled with sadness linked to the deaths of NHL tough guys Derek Boogaard, Rick Rypien, and Wade Belak, the one thing that’s come out of that is the debate over whether or not fighting should stay part of the game in the NHL. While fighting didn’t kill those three players, their role as enforcers and intimidators in the league led them to careers filled with pain and injury. The fighting debate is often linked to concussions, a debate big enough to fill an entire book on its own, and concussions are linked to depression (believed to have contributed to both Rypien and Belak’s deaths) it’s the perfect hot button issue the NHL would rather not have. While former fighters in the NHL like Georges Laraque and Jim Peplinski have spoken up and against fighting now that their careers are over, one current tough guy is standing up for what he’s doing. Bruins enforcer Shawn Thornton doesn’t much care for what people are saying about getting rid of fighting in the wake of what’s happened this summer and he tells CSNNewEngland.com’s Joe Haggerty that if they want to take up their argument about dumping fighting, they should come talk to him first. “I think we should remember those people for the men that they were, and not what they did for a living,” said Thornton. Thornton’s never been a guy to hold back on his thoughts and his feelings and the role of an enforcer in its roots is a noble one. The enforcer is the valiant knight of the team standing up for teammates and protecting the weaker players on the team. Ideally that’s what they’re supposed to do. Thornton’s message about remembering the guys that have passed away for who they are is a stand-up move and typical of the role he plays on the Bruins. You’d have to assume that any of Boogaard, Rypien, or Belak wouldn’t just want to be remembered as being labeled a “goon” or “thug” for doing the job they were hired to do for their teams. There’s a reason why these guys are the most popular ones in the locker room and amongst the fan base as well. For Thornton’s piece in this debate he’s justifying his existence in a very loud and meta kind of way. Standing up for fighting while also standing up for guys who have passed away and can’t speak for themselves makes you appreciate Thornton as a teammate. Whether you feel he’s right or not about doing part of his job with his fists is a matter of debate that surely won’t stop raging. One thing that’s for sure is that Thornton is awfully good at his job. The hockey community whether it’s that amongst the players or the fans is a very tightly knit one. The players’ bond with each other is as strong as any in professional sports and the fans’ love for the players and for each other is one that’s rivaled by very few in the sports community. Having a year like the hockey world has had this year is one that would test the limits of most anyone. First there was the saddening suicide of minor league Sharks forward Tom Cavanagh in January. In May, Rangers enforcer Derek Boogaard was found dead in his Minnesota apartment having died from a toxic mix of painkillers and alcohol. In the last few weeks we’ve had the gut-wrenching deaths of tough guys Rick Rypien and Wade Belak to sort through and try to figure out what it is that’s causing guys so young to either die or take their own lives too soon. While many were still grieving over those terrible deaths, a disaster in Russia comes out of nowhere with a horrifying plane crash that takes the lives of virtually every member of KHL team Lokomotiv Yaroslavl; A team made up of many former NHL players famous and otherwise as well as other Russian professionals and junior stars. So much tragedy, so much sadness, and so many questions left unanswered or ones we’d rather not have to hear the answers for. How can a family of hockey players, families, and fans cope with so much sadness? With so many awful things happening while there’s nothing going on on the ice, the answer for so many will be to turn their attention back to the game itself. The cries always go up in August about how fans cannot wait until it’s October again to have the NHL, and hockey in general, back on the ice. This is the first time in a long time where hockey being played might be the only thing that helps put people’s minds at ease. While we try to stomach the unfathomable catastrophe in Russia and think of those lost and affected, their loss came while attempting to get to Minsk to begin their KHL season. Numerous lives lost all while trying to do what they love and support those who love them. It’s heartbreaking news of the highest order. What we can all take away from this summer of horror is to appreciate all that we do have. Times like these even outside this realm of hockey are hard for a lot of people and hockey can provide their escape from the harshness of reality. Events like these remind us that we’re all trying to live the dream one way or another. Embrace every day as a new and beautiful one and be thankful for what you do have and the people you do have in your life. Tell your loved ones that you’re thinking about them. Wish someone well on a new endeavor and hope that they’ll come away better for it. Tell someone important to you that you love them. We can be thankful that we’ll have an escape from all this sadness and unbelievable tragedy soon enough, but the players are people just like we are just the same and they’ll be in mourning just as we are. We’re all feeling the pain again today and this summer is one that won’t be forgotten, but perhaps we can all grow together stronger through all of this. Making an already close-knit hockey family even stronger can’t be a bad thing.